Enable Groups of People –> Real Teams! 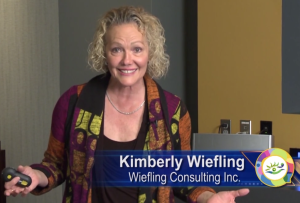 Kimberly is a founding member of The Institute for Inspired Organizational Culture’s . Materials from the IIOC workshop series on organizational wellbeing and happiness are free for educational and charitable organizations. You can watch her free video on organizational culture here. Do you have good, smart people working for you who just can’t seem to deliver the results your business needs consistently and predictably? Are you frustrated by the difficulty of getting cross-functional or cross-cultural groups of people to work together as real teams? Would you like your mid-level managers to become real leaders, capable of leading your company in the increasingly complex business world? Teams are failing for entirely predictable and avoidable reasons. Common sense tools and approaches, applied with discipline, will dramatically increase your ability to achieve results. The path to predictable, repeatable results is common sense! I help make common sense common practice. Unfortunately really smart people prefer complicated solutions . . . but a simple solution awaits: Disciplined people, thinking and acting with discipline, to do what is required . . . whether they feel like it or not! Come breathe the air of Silicon Valley and get infected by the “Silicon Valley Entrepreneurial Virus“!! People need to eat anyhow, so spend your lunchtime with us to learn and grow as a team. Sample Topics. Meetings CAN be real work . . . if you prepare for them and execute them with excellence! I really liked your workshop and see great possibilities for using “breakthrough thinking” in other settings in both the corporate and educational worlds. Kimberly once again thank you. Almost 1year ago you offered to do a Skype call with me when I was so disappointed. You gave me so much power and a different view. Since then I stood up and started to take new challenges!! It was really a turning point for my career, life. Kimberly’s ‘Leading From Any Chair’ workshop is the single most powerful class I’ve attended, and the highest rated class I’ve participated in. Her teachings have fundamentally changed me as a leader, a coach, and a team member. Thank you so very much for assisting us in putting structure into our 2-year plan for the Reshoring Institute. You are a remarkable facilitator, capturing the spirit of our organization and, at the same time, adding clarity to our roadmap. We really appreciate your help! I just wanted to tell you how much I enjoyed your seminar. Last night was a breakthrough for me. All of my negativity is gone, and I have been able to plow through so much stuff today. I am a dynamo!